Programmatic offers multiple ways for mobile app advertisers to find the right media inventory for their ads, one of which is Private Marketplaces (PMP). A PMP is an exclusive marketplace where premium publishers offer their media inventory to a select group of advertisers. Unlike open real-time bidding (RTB) auctions, this private deal gives an exclusive group of advertisers priority to inventory before it becomes available in the open marketplace. PMP deals are mutually beneficial for both advertisers and publishers. PMP enables advertisers to get and acquire a premium inventory, which may not be available in an open exchange. This inventory comes at a premium cost, but it’s worth the price for several reasons. First, advertisers pay a fixed price without any surprises. They also get increased transparency into media placement, and a very clear idea of what kind of inventory they are buying and at what price. Publishers achieve better CPMs for their premium inventory, as PMP deals typically have higher minimum floor prices than open auction. Also, they get extensive control over media and make stronger buyer relationships, which can lay the groundwork for future collaborations. To determine the value of PMPs, we analyzed a mobile advertising campaign for a gaming app. 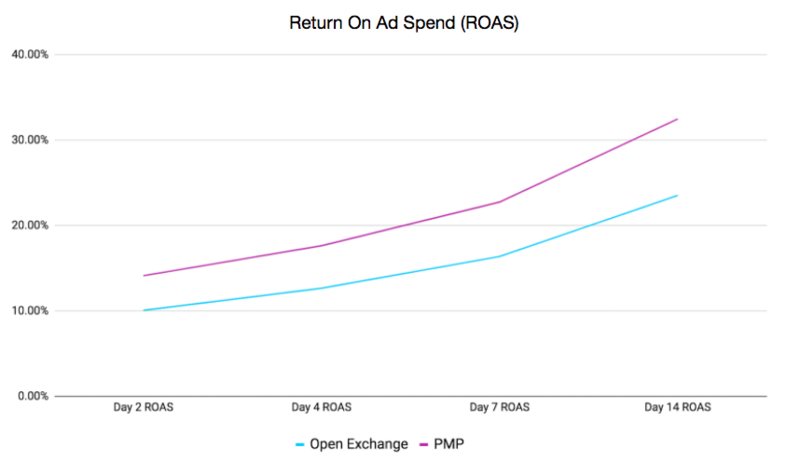 While comparing the data received from the advertising campaign run on PMP and the data from the ad campaign run on open exchange, we noticed a considerable 40% increase in return on ad spend (ROAS) on PMP. Furthermore, we saw that for this campaign, there is a ~20% better click through rate (CTR) in comparison with the open auction. 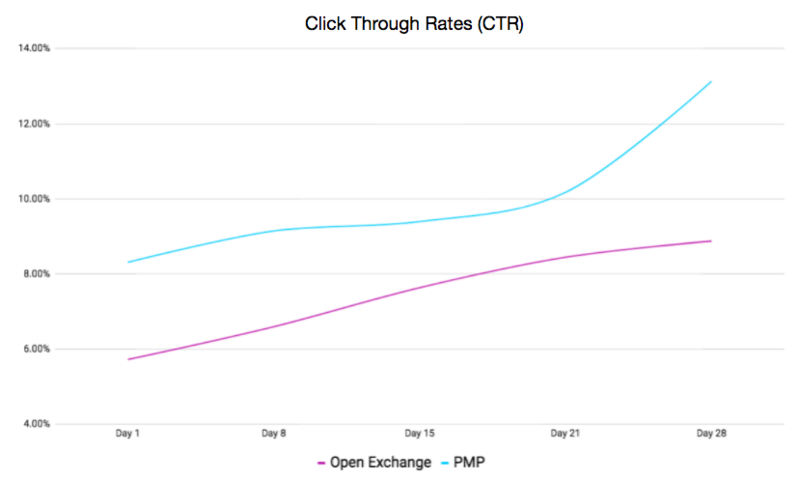 The choice between PMP and open exchange should be dependent on your app marketing campaign goals. If you’re looking for the most cost-effective way to buy media with access to the largest audience, open auctions could be the way to go. But if your goal is to access a more exclusive, premium inventory with stable volume, PMP is a better path to take. Aarki has an extensive list of PMP deals that represent over 25% of ad exchange impressions and these enable us to provide advertisers access to a more exclusive, premium inventory. Give it a try and let Aarki provide you with premium, high-quality users.